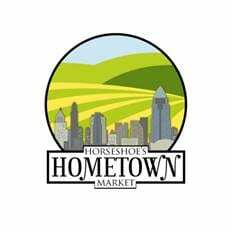 WHAT: Horseshoe Casino Cincinnati is proud to present Horseshoe’s Hometown Market. The concept is to gather local farmers, sustainability leaders and hometown businesses together in a marketplace atmosphere and give them the opportunity to advertise and sell their products. Horseshoe Casino is always looking for ways to bridge the best of what our city has to offer. The Hometown Market will be a great opportunity for Cincinnatians to support local business and decrease their carbon footprint by learning how to live a “green” and healthy lifestyle. Vendors will set up outside the casino in The Shoe and guests of all ages are welcome to attend the Hometown Market. DATE/TIME: Sept. 10, 2014, 3 p.m. – 8 p.m. LOCATION: Horseshoe Casino Cincinnati’s outdoor plaza, The Shoe. 1000 Broadway, Cincinnati. PARKING: Free parking is available in the casino’s attached parking structure. Entrances to the self-parking deck are located on Reading Road (at E. 12th street) and on Gilbert Avenue (north of Court Street). RSVP: If you are a vendor interested in participating, please contact Myra Kashner, 513-250-3179 [email protected] Please RSVP by August 28 to reserve your spot. NOTE: There will be no admission fee for vendors or guests.